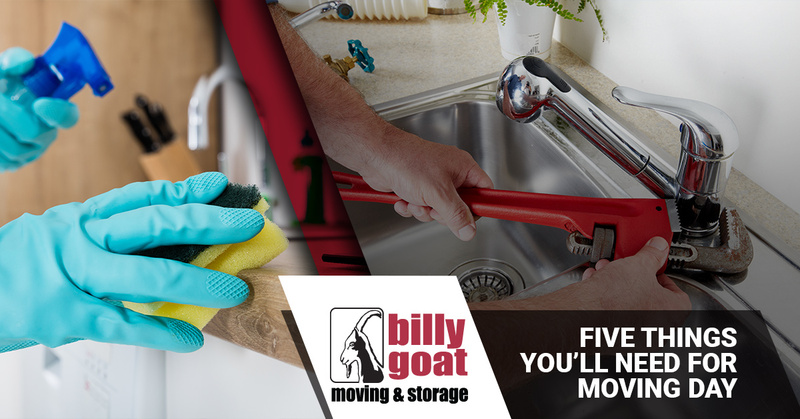 At Billy Goat Moving & Storage in Fort Collins, we’ve helped people move all across the state of Colorado. We’ve had households with just a few boxes and a few pieces of furniture, and we’ve seen households with numerous boxes in every room and furniture as far as the eye could see. We’re always up to the task of moving someone to a new house or apartment, and we’re always grateful when a customer is organized and ready to go. In this post, we’ll look at five things you’ll need for moving day. These won’t be the only five things you’ll need, but they’ll definitely prove important as you relocate. While you won’t need every tool in your toolbox, there are some tools that you’ll want to have on hand on moving day. Your measuring tape and a screwdriver will be good to have, since you may need to measure where a piece of furniture will fit, or you may need to reassemble your bed frame once it’s in your new place. Keeping a hammer and a knife nearby will also be beneficial, just in case something needs to be repaired or cut quickly. Whether you’ve been renting a place, or you owned your previous residence, you’ll want to do some cleaning once everything is moved out. Set aside your broom and dustpan, and make sure you have some sanitizing wipes for the kitchen surfaces. 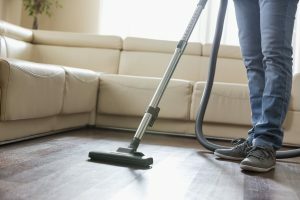 You’ll want to clean the bathrooms thoroughly as well, and vacuum any carpets that are staying in the house. You may be hiring a service to do a deep cleaning, but giving everything a once over can make you feel better. Your first few days in your new house may require you to use flashlights, which of course need batteries. You’ll also want to make sure your phone is adequately charged, since you don’t want it dying in the middle of your trip to your new place. Set aside a small bag for your electronics, and make sure you have spare batteries on hand for those handheld devices that may need them after you move in. A fire extinguisher is an important part of your home’s safety plan. When you move into a new place, you may not be sure how well the oven will work, and having an extinguisher on hand can help you avoid serious damage, should a fire break out while you’re baking or broiling something. Hopefully you’ve remembered to set aside a few rolls of toilet paper for your new place, but it can also be smart to pack paper towels, plates, and other paper products in a bag or easy-to-access box. Your regular dishes will be packed away for the next few days, and if you’re ordering pizza during your first night in your new house, you’ll be glad that you have disposable plates and napkins. If you’re planning to move in the near future, then make sure these five items are on your moving day checklist. When you need a professional moving company, contact Billy Goat in Fort Collins.